DUT’s Student Representative Council (SRC) Secretary General, Menzi Ngcobo, was elected as the 2015 G20 Youth Summit Committee Secretary earlier this month. Ngcobo attended and participated in the G20 10th International Youth Forum held in Garmisch-Partenkirchen, Germany. This summit is organised annually by the Swiss G200 Youth Forum. The Youth Forum has been recorded as the largest international event organised for young leaders from around 200 countries in 2015. More than 500 students, academics, young leaders and business leaders in the world took part in the event. Malusi Nxumalo, DUT Student Governance and Development Manager, said the relationship between DUT and the German Consulate began in 2014 where the University’s Vice-Chancellor and Principal, Professor Ahmed Bawa, and the Dean of Students, Amar Singh, had been engaging with the German Consulate. “We would have wished to send some students in 2014 however, due to some logistical issues, DUT was unable to send a student,” he said. Nxumalo said Ngcobo was selected to attend the Forum on the potential he has shown as a leader. Ngcobo participated in various committees, where they discussed and made resolutions on issues affecting students and youth around the world and shared ideas on how to tackle those issues. He practised in the Labour Market Obstacles committee where issues like youth unemployment, brain-drain and immigration where discussed. “The selection has created a platform for me to become a better person and a better representative for the University. Going to the forum was a ground-breaking experience for me, it is an extension of oneself,” said Ngcobo. Ngcobo further encouraged students at the University to become better people and grab the opportunities offered to them by the University. “The university is not just about the curriculum. It’s a platform for students to challenge the ideas that they already have in their minds. The world is big out there, don’t stop to achieve or dream,” he urged. Pictured: DUT SRC Secretary General, Menzi Ngcobo and Malusi Nxumalo, DUT Student Governance and Development Manager. 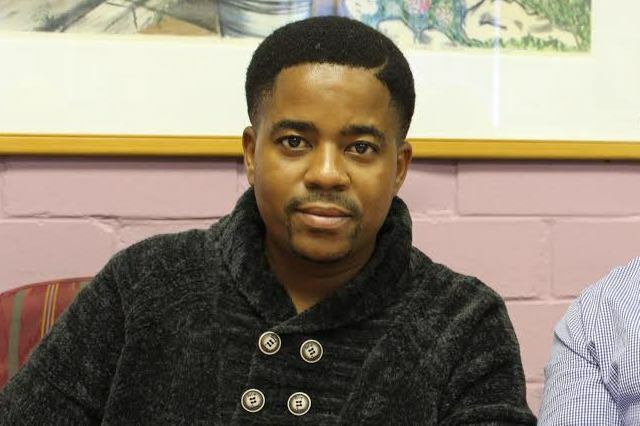 Ngcobo was elected as the 2015 G20 Youth Summit Committee Secretary earlier this month.